Avianco's solution put the processes critical to service management in the hands of the organization and its team leaders and administrators. Avianco’s scalability, both in terms of number of users and system capability, makes it the perfect solution for any size organization. Additionally, Avianco's flexibility allows it to meet the specific needs of many service-oriented industries. Avianco professional services bring together the right combination of people, experience and best practices to make your project a success. The right people drive implementation success. Their dedication, focus and skills make all the difference. Therefore, Avianco recruits the best people for your projects. Our multi-disciplinary teams are measured on client satisfaction and meeting client-driven timelines. In today's business climate, a software solution requires a strong business case to prove its value to the enterprise. In many cases Avianco customers turn to us to help them understand and quantify the impact of an enterprise workforce management deployment. We bring our years of industry specific experience and best practices to your project. Avianco provides hands-on, cost-effective training that ensures smooth implementations and rapid end-user adoption. Avianco instructors work closely with R&D and Professional Services, which means that curriculums are always up-to-date and relevant. Avianco will provide you with the insight and tools that you need to ensure project success. Instructor-led - Avianco has experienced, industry-knowledgeable and professional instructors who deliver an extensive hands-on curriculum at state-of-the-art Avianco training facilities. Onsite - Avianco provides flexible delivery options, including instructors who will travel to your location and teach a full curriculum. Self-paced - Additional tutorial materials are available in advance to allow for reduced class duration, which minimizes time away from the office and accelerates the learning process while reducing cost through condensed class time. Avianco offers a variety of e-learning options for end users and project teams, including a standard set of functional courses. Avianco employs training materials designed to maximize understanding and step-by-step instruction and a course structure that promotes specialized, focused instruction. Avianco training solutions address all of the functional and technical requirements essential for implementations and continued success of the Avianco applications. Avianco courses allow students to learn the basics of Avianco application navigation, use, configuration, and maintenance processes. 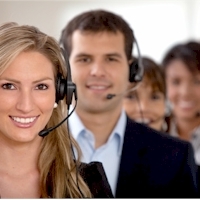 Avianco Support is a single point of contact for technical expertise and product resources. Your relationship with Avianco continues after the success of your initial Avianco implementation. Avianco dedicates significant resources to support our customers so that they can run their businesses, not their software. Avianco Support makes it simple to find fast, actionable, and accurate solutions. We offer a range of support packages so that every customer receives the right level of support for their business and technology needs. Avianco Support is made up of cross-trained teams that deliver immediate expertise to address issues as they arise. Experienced support teams ensure that you get the answers you need from people who know your business and technology challenges. All team members have deep product knowledge developed with extensive and regular training. Most team members have on-site customer experience. Team members will communicate with you every step of the way so you always know where you are in the resolution process.